Road salt and icy winter: How do we balance safety and water pollution concerns? 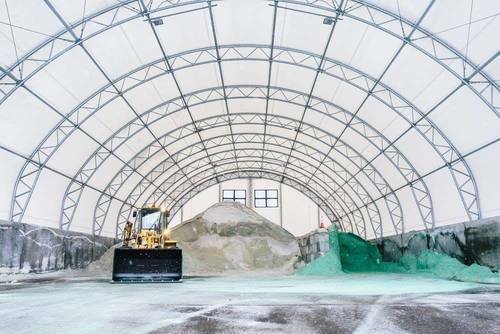 Minnesota dumps some 730 million pounds of salt on roadways each winter, and it's posing a major risk to the environment. This winter, MPR News explores the issue and what's being done to address it. This MPR News series on road salt and its environmental implications is a part of The Water Main, our new initiative that aims to bring people together, move conversations forward and create meaningful connections that help sustain clean, abundant water for all. Chloride — the mineral in salt that contaminates waters — is toxic to fish, other aquatic life and birds. It can hurt pets and become a problem for groundwater. Salt doesn't even work properly once temperatures dip below 15 degrees. Continue on MPRnews.org to read some ways to cut salt pollution and remain safe in the icy, snowy months. Read more on what the city of Minneapolis is doing on MPRnews.org. Beth Fisher and Patrick Hamilton, scientists from the University of Minnesota and the Science Museum, respectively, demonstrate how to test for salt levels in water as a preview to the pop-up winter salt lab. They also take viewer questions on Facebook Live. Fifty Minnesota lakes and streams are now on the state's impaired waters list because of too much chloride, mainly from road salt. Excess chloride has widespread implications — everything from affecting aquatic life reproduction to corroding our infrastructure to health problems for humans. As scientists test more Minnesota lakes and streams, they expect to find more with salty problems. Shingle Creek was the first body of water added to the impaired list for too high a chloride concentration. But even 20 years of efforts to curb salt use around the creek haven't made much of a dent in the amount of chloride in the watershed, illustrating the long-lasting damage salt can leave behind. If you've ever driven Interstate 94 in the Twin Cities, you've probably driven over Shingle Creek. It starts in Brooklyn Park and winds southeast to Minneapolis, where it joins the Mississippi River. It drains almost 45 square miles of dense urban area crisscrossed with roads. Lots of roads. For the past 50 years or so, we've been using a lot of salt on those roads to melt ice and snow. 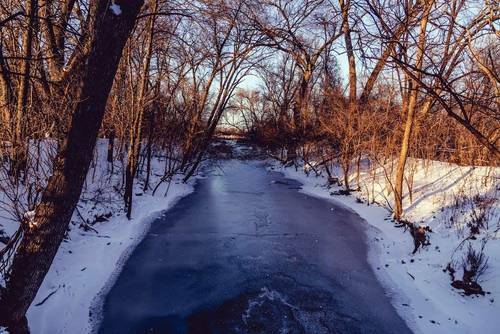 "We've kind of brought this on ourselves a little bit because we have the capability to have very drivable roads in winter," said Ed Matthiesen, an engineer for the Shingle Creek watershed. "The downside is because we can get salt very cheaply and it's one of the things that keeps the roads clear, we tend to apply a lot of it." 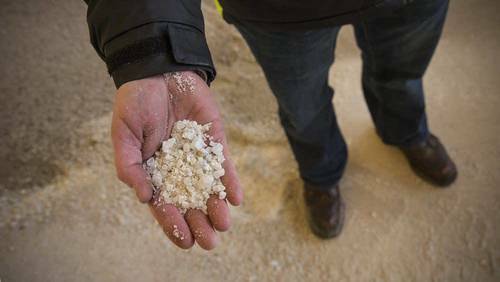 The salt we're so inclined to dump on roads and sidewalks after winter storms is a growing threat to Minnesota's lakes and streams. Chloride — the mineral in salt that's toxic to fish, birds and other aquatic life — is now considered an impairment in 50 bodies of water across the state. Scientists only expect that number to rise. While large-scale salt application is the biggest culprit, there are some things individuals can do to minimize their impact. Check out the tips on MPRnews.org. A study released in January shows that rivers in the upper Midwest — particularly North Dakota — are becoming saltier faster than the rest of the country. The lead researcher on the study, Sujay Kaushal, an associate professor of geology at the University of Maryland, looked at five decades of data from more than 200 monitoring sites across the country. Kaushal says the rise in salt levels doesn't just affect aquatic life, but also human health. And because saltier water can be more corrosive, it can have costly effects on our infrastructure. "This has implications for piped infrastructure, particularly old piped infrastructure," Kaushal said. "For example, in the region that I live in in Washington, D.C., there was a time a couple years ago where there was an increase in manganese in our water supply. This actually affected my own home. This was because of aging, cast iron pipes that interacted with the salts and were corroded and released metals." Head to MPRnews.org for more. As our climate shifts to have more winter rain and ice, many people may turn to rock salt to make safer roads and sidewalks. But that means bad news for water quality — chlorides in salt can permanently contaminate water. Annie Baxter of The Water Main catches us up on this rising issue for water quality. Listen to Baxter's appearance on the Climate Cast podcast here. How much should Minnesotans worry about the water coming out of our taps? In the short term, probably not much. But you don't have to go far for a lesson on complacency. "The salt doesn't just evaporate, it doesn't break down. Once it's applied in the environment, it's got nowhere to go. It goes into the soil, or it goes into the lakes. It doesn't just disappear," said Joe Grande, the water-quality manager in Madison, Wis.
Madison is one of the more notable cases of drinking water contamination by sodium chloride. Other instances have been reported in places like Baltimore, Washington, D.C., and parts of New Jersey — including one extreme case in the city of Brick, chlorides damaged lead water pipes, causing the toxic metal to leach into drinking water. Could 'smart salting' keep Minnesota roads and waters safe? Tim Malooly's company Irrigation By Design is a year-round, full-service landscape shop. In the summer, they'll fertilize your lawn. In the winter, they'll plow your drive and salt your sidewalk. And if anyone happens to slip and fall, you can blame him in a court of law. "Our industry is facing an increased amount of concern over being sued," he said. However, companies like Malooly's have another issue: excessively applied road salt is making its way into Minnesota waters. In many cases, the chloride in salt — which is toxic to fish, other aquatic life and birds — is permanently polluting lakes and streams. A bipartisan bill at the Minnesota Capitol aims to address this problem by limiting liability for crews who get trained in "smart salting," or using only the recommended amount necessary to melt ice.